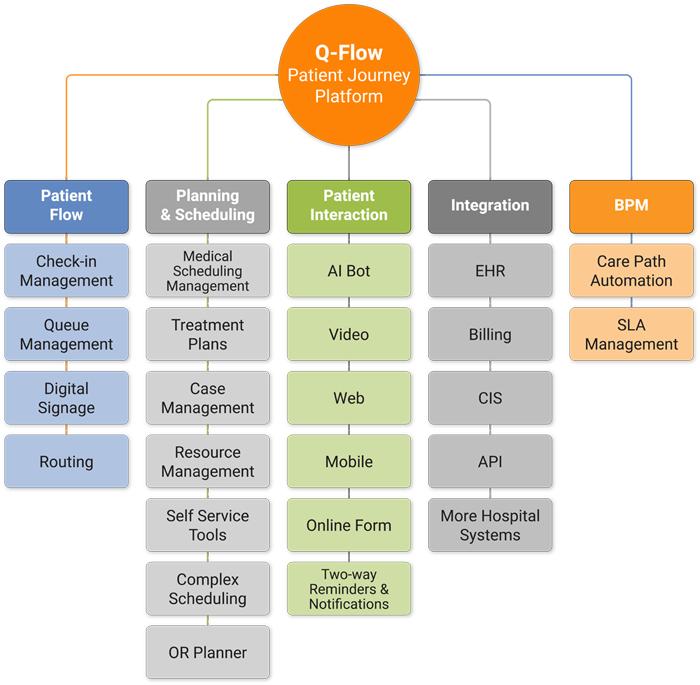 Q-Flow 6 is a comprehensive platform that allows healthcare organizations to manage and optimize individual patient journeys and experiences while supporting back-office processes. Q-nomy’s Patient Flow solutions can provide all your clinics and departments with valuable solutions that can manage both digital and in-facility care flows to construct different patient journeys to benefit your organizational needs and business processes – placing the patient at the center of your operations. Q-Flow PM and Q-Flow IM can also be integrated into a complete Medical Case Management solution, Q-Flow CM. Understanding Software Deployment Options - SaaS or On-Premise? In addition, we can easily migrate from the cloud to the premise and vice versa – all while keeping data and functionality intact. Q-nomy provides our customers with the most flexibility enabled by SaaS models while ensuring each installation is customized and optimized per customer needs, the same way as an on-premise installation.